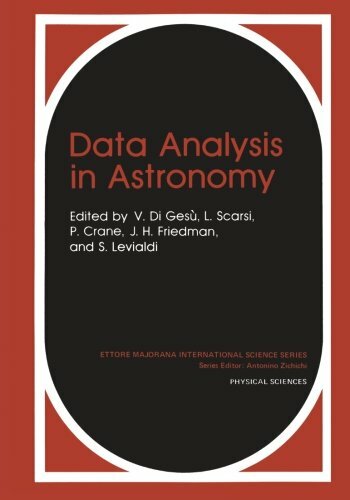 9781461594352 | Reprint edition (Springer Verlag, August 3, 2012), cover price $99.00 | About this edition: The international Workshop on "Data Analysis in Astronomy" was in tended to give a presentation of experiences that have been acqui red in data analysis and image processing, developments and appli cations that are steadly growing up in Astronomy. 9780306429019 | Plenum Pub Corp, September 1, 1988, cover price $99.00 | About this edition: This book contains the proceedings of the 4th International Conference on Data Analysis and Processing held in Cefalu' (Palermo, ITALY) on September 23-25 1987. 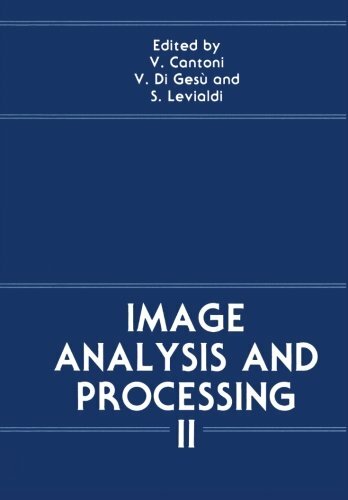 9781461282891 | Springer-Verlag New York Inc, October 8, 2011, cover price $99.00 | About this edition: This book contains the proceedings of the 4th International Conference on Data Analysis and Processing held in Cefalu' (Palermo, ITALY) on September 23-25 1987. 9789810231712 | World Scientific Pub Co Inc, June 1, 1997, cover price $112.00 | About this edition: This proceedings volume focuses on new methods of image and signal analysis in a wide range of energies (from radio to gamma ray astronomy) and advanced methodologies regarding problems and solutions in information fusion and retrieval, statistical pattern recognition, vision and advances in computing technology. 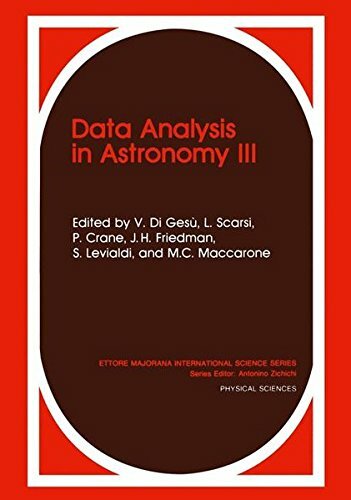 9780306431586 | Plenum Pub Corp, June 1, 1989, cover price $99.00 | About this edition: In the book are reported the main results presented at the Third International Workshop on Data Analysis in Astronomy, held at the EUore Majorana Center for Scientific Culture, Erice, Sicily, Italy, on June 20-27,1988. 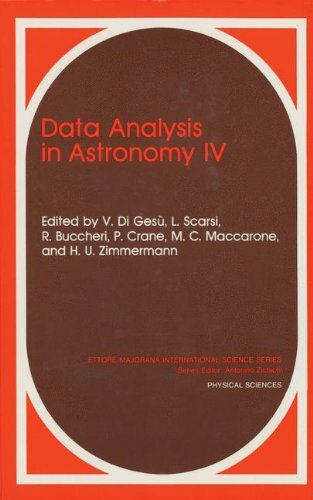 9789971502621 | World Scientific Pub Co Inc, May 1, 1987, cover price $87.00 | About this edition: The main topics covered by the book regard the new developments of the methods and computer architectures in the field of Data Analysis in Astronomy and Astrophysics.